3&gt;Test the hair by giving a tress a gentle pull to see whether it is resilient. 5&gt;Straighten seperate hair with ionic clamp by pulling from hair root to end. 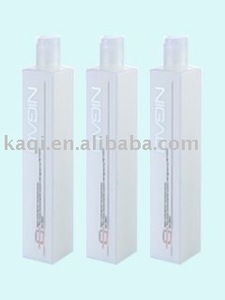 6&gt;Apply agent B,comb from hair root to end,rinse out after 20 minutes,blow to 80% dry. 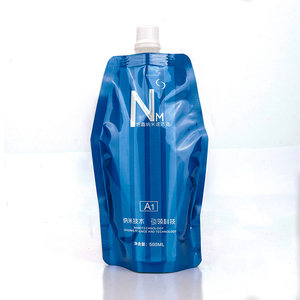 Product Name NIGAO Nanometer Hair Ion Rebonding Specification 280ml*2/ 500ml*3 Product Code N070/ N075 Feature 1. 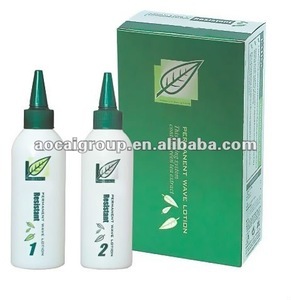 Contain unique basic ions, and possess strong solubility, penetration and absorption; 2. can bring active substances into inner hair tissues, decompose original hair structure, enliven hair metabolism, repair the surface of hair-scales, effectively protect hair from perm, and can repair hair at the same time. 3. 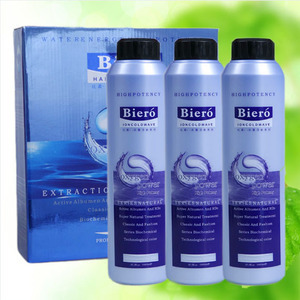 It is the best choice for the damaged hair; make hair become soft, silky and shiny, and display the charming image for you. 5. Divide hair into a lot of small parts, and then straighten it from up and down until receive the desired effect. As a general rule it is easier to darken the hair than to lighten the hair. when we get your final comfirmation ,we will ask the factory to produce . we will analysis of the problem and tell you some hair care tips . 4.Q:Are you the manufacture or the trader9 A:We are the factory which focus on the rebond foam raw materials for over 10 years. 5.Q:What&rsquo;s your company&rsquo;s main product9 A: Our main products focus on foam scrap, sponge mattress, floor mats and foam pillow etc. We welcome new and old customers from all walks of life to contact us for future business relationships and mutual success! Guangdong Sweetnight Home Co., Ltd.
Ningbo H&W Sporting Goods Co., Ltd.
Works with resistant hair to produce beautiful and nourished straight or curly hair. 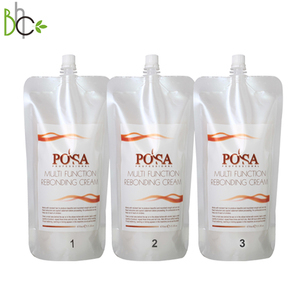 It restores keratin protein to hair and creates silky, shinny, straight or curly hair and frizz free. 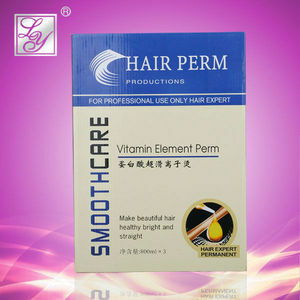 Can be used for highly resistant, coarse hair to produce sleek straight hair. Alibaba.com offers 226 soft rebonding products. About 7% of these are perm lotion, 2% are hair treatment, and 2% are recycled plastic. A wide variety of soft rebonding options are available to you, such as acid, alkaline. You can also choose from straightening, curling. As well as from free samples. There are 147 soft rebonding suppliers, mainly located in Asia. The top supplying countries are China (Mainland), Philippines, and Pakistan, which supply 94%, 1%, and 1% of soft rebonding respectively. 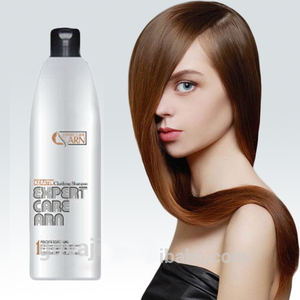 Soft rebonding products are most popular in Domestic Market, Southeast Asia, and Mid East. You can ensure product safety by selecting from certified suppliers, including 38 with GMP, 18 with ISO9001, and 16 with Other certification.